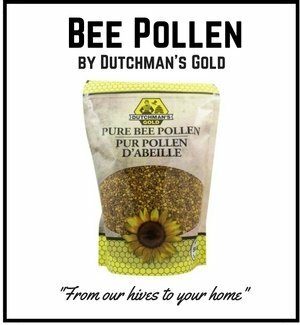 As I continue to follow and research the scientific journals and study the feedback we obtain from our many customers and forum contributors, I continue to discover more and more bee pollen benefits to pass onto you. 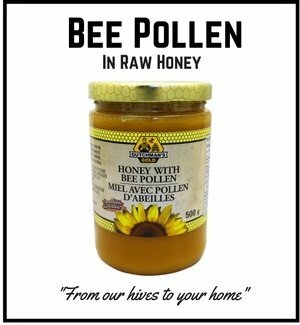 The amazing nutritional profile of bee pollen lends itself to literally countless ailments and deficiencies. As you'll read below, the benefits of bee pollen are truly staggering. Click on any one of the benefits listed below to take a deeper dive in the how and why of each benefit. So, the scientists set out to determine how long the survival time of these mice could be extended beyond 365 days when fed only bee pollen granules and water. On the contrary, all bee pollen fed mice appeared healthy when they reached 600 days of age. And interestingly enough, there was no evidence of the kidney issue that the control mice developed! 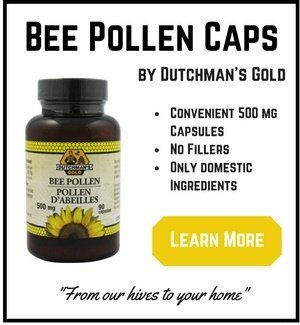 The scientists concluded that "there is something in bee pollen that makes animals live longer...and we don't know what it is!" Scientists are now getting closer to discovering what exactly this unknown 'something' in bee pollen is. 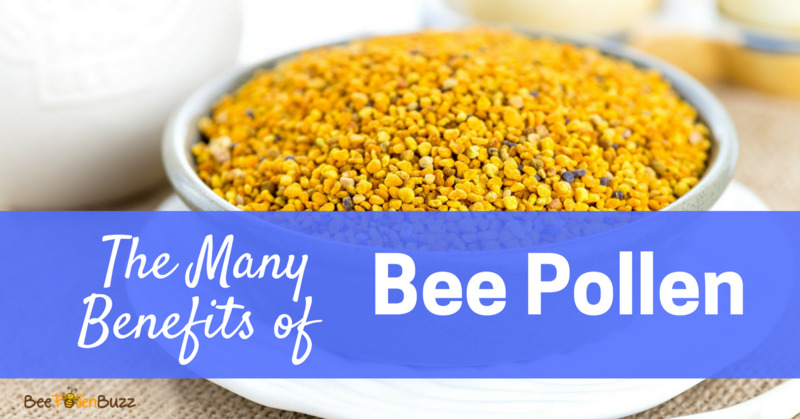 Read how researchers are discovering some of the amazing, health promoting compounds in bee pollen here. Bee pollen is very high in antioxidants, which have many health benefits. The aim of this study was to investigate whether bee pollen can protect the liver from damage caused by a very toxic substance called tetrachloride. Tetrachloride is very toxic to the human liver and kidneys. You are very unlikely to be exposed to tetrachloride as it is now banned for use in commerical products but in the 20th century, it was widely used as a dry cleaning solvent, as a refrigerant, and in lava lamps. It was also used as a pesticide to kill insects in stored grain. The point of the study is not to determine if bee pollen can protect you against a substance you are likely to never be exposed to but instead give some indication of how it might protect your liver against the many substances currently in our environment that are toxic. 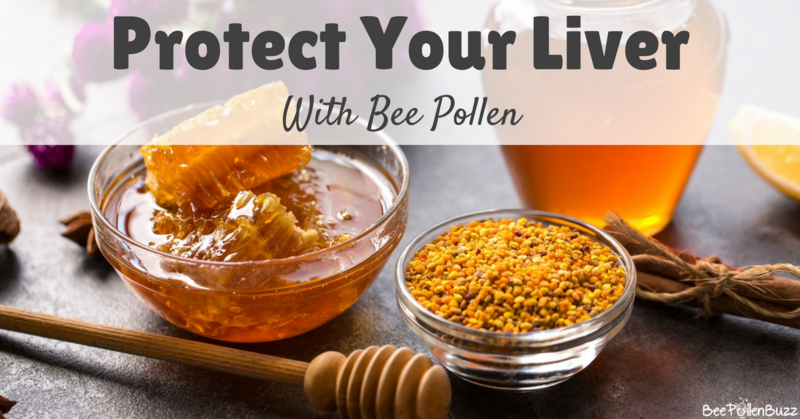 If bee pollen can protect your liver against something as toxic as tetrachloride, it is likely that it can do the same against many other toxic substances. The study was conducted in rats as seven groups. Two different concentrations of bee pollens (200 and 400 mg/kg/day OR 200 mg/2.2 lbs/day) were given orally and one group was administered with silibinin (50 mg/kg/day) for seven days to the rats after they were exposed to tetrachloride. Silibinin is better known as milk thistle, a very popular herb used for liver health. If you've ever visited a health food store, you can be assured that they stock milk thistle as it is a very effective liver tonic and used in most liver products. The scientists found that both the bee pollen and the Milk Thistle reversed the damage done to the liver by tetrachloride. Milk Thistle however caused significant weight loss and mortality due to severe diarrhea. The bee pollen group saw no weight loss or mortality. These powerful results are being attributed to the wide variety of antioxidants found in bee pollen, which in this study included phenols, flavonoids, anthocyanins, beta-carotene and other carotenoids. What does this mean for you? The amount of bee pollen ingested in this study (the 200 mg/2.2 lbs group) would be the equivalent of about 30 grams per day in a 150 lb human. 30 grams is about 3 tablespoons of bee pollen granules per day, which is reasonable for humans to consume in order to obtain the significant liver protection and health benefits this superfood possesses. The full study can be found in the journal Evidence Based Complementary & Alternative Medicine, 2013;2013:461478. Bee Pollen is richer in protein than meat (which contains only 17 to 22%), fish, eggs and cheese. ”35 to 50 g of pollen a day", writes Dr. Stefan Stangaciu MD, "can cover the needs in protein of man”. Pollen contains all of the essential amino acids, including those it cannot synthesize. By these amino acids, pollen supports the functions of the thyroid which are very often disturbed by our living conditions. Thanks to it's richness in amino acids, pollen has a positive action on physical and intellectual tiredness. The proteins, minerals (calcium, phosphorus) and vitamins (pro vitamin A, the B Vitamins...) it contains enhance the development of young children. Certain amino acids are growth accelerators - arginine, proline, cystine, serine and tyrosine. Due to its high nutritional quality, pollen can stimulate the appetite and weight and a quick recuperation of forces with weakened patients after a long lasting illness. It is thus convenient especially for recovering patients, seniors, the under-nourished and for chronic fatigue. Bee pollen benefits athletes as well as pregnant women. By toning up the uterine muscle, pollen aids the contractions while giving birth. It regulates weight gain and thus may be recommended to obese persons or diabetics or to persons suffering of an abnormal loss of weight. The mineral selenium, which is also found in bee pollen, slows down the aging of the cells. Arginine helps to prevent impotency, frigidity and sterility. These amino acids support the functioning of the prostate. It also contains many nucleic acids in the chromosomes, very important for cellular regeneration and thus for diminishing the risk of genetic diseases. The centenaries of the Caucasian mountains, in Himalaya and Vilcabamba in Equator are, according to Charles Andros, regular consumers of raw bee pollen. Because of the rutin it contains, pollen has a fortifying action on the heart, the vessels and especially on the capillaries. It facilitates blood circulation, balances the cardiac rhythm (arrhythmia), diminishes vascular hemorrhages and fragility of the capillaries and helps prevent phlebitis. It diminishes the excessive arterial tension, fights against arteriosclerosis, and acts against cerebral atherosclerosis by reducing the cholesterol and triglycerides ratio. Pollen also helps sustain the production of red blood cells and thus has an anti-anemic action. Pollen increases the ratio of white and red cells in the blood in case of insufficiency. Lysine favors the renewing of red cells and histidine facilitates hemoglobin formation. It reinforces the circulatory system and namely the capillaries by the presence of rutin. This acts on the cardiac contractions and prevent hemorrhages. The poly-unsaturated fats and the flavonoids it contains enhance blood circulation and help prevent arteriosclerosis and atherosclerosis. It reduces the ratio of cholesterol, fatty acids, triglycerides, lipo-proteins and albumin in the blood. Thanks especially to it's high amino acid content, pollen has an affinity for the brain. It stimulates memory and the power of concentration (glutamic acid). Psycho-physiologic tests show a considerable increase of attention, with diminution of errors and a clear increase of muscular force. It should be advised to aged persons, to children of school age and to students to ease exam preparation. It diminishes the negative effects of stress, anger, jealousy, envy. It offers a feeling of well being. It is recommended against anxious, depressive, irritable moods, neuroses, insomnia, head aches and vertigo. "I started taking Bee Pollen about 3 and a half months ago. To my surprise I didn't realize that it was going to help my depression. I no longer have depression - I can hardly even think bad thoughts. Before bee pollen I could never think a good thought. All I could think of was negative thoughts. I've never felt this way. I've always suffered from the negative thoughts. Now everyday I wake up I have more energy. I can't wait to live - I love living. I'm 50 years old and never thought that I could ever feel this way." Bee Pollen is efficient for dry and devitalized skin and acts against eczema and acne. It helps hair to grow healthier and fights against hair loss. It fortifies the breakable or halving of nails. It helps with the quality of sight. These virtues are certainly due to its richness in vitamins and minerals such as sulphur, iron, zinc, vitamins A, B3, B8, rutin and amino acids such as tryptophan, cystine and tyrosine. 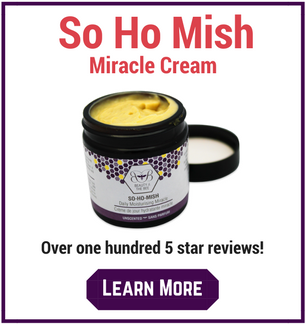 "I just wanted to report that it is so true about bee pollen helping nails. It not only helped my nails (that are strong and beautiful because the bee pollen is directly related to their good health) but it also has made a huge difference in my hair. The times I did not eat bee pollen my nails would be softer and break easily. But when I would get back to eating the pollen my nails would immediately get strong and very healthy....the same is true about my hair. My hair has gotten thicker and more vibrant because of the bee pollen...."
Prostate troubles affect 30% of men between 50 and 60 years,60% of men between 60 and 70 years and 100% of men older than that. Bee Pollen's curative action is very efficient in treating many issues of the prostate: benign hypertrophy of the prostate, prostatitis and cancer of the prostate. Men can prevent and ease these issues by taking pollen daily after the age of 50 : 25 to 30 g of fresh pollen (or 30 to 40 g of dry pollen) during treatment and then 15 g per day for maintenance.